Not a whole lot of activity going on around here. I’ve spent the last couple days working on some design stuff. The kind of work that I do is kind of hard to wrap your head around, but here’s an example of one of the many things a production/graphic/motion designer might do. For this particular project I didn’t come up with the concept, and I certainly didn’t have a hand in physically making anything. I did the dirty work that came between someone having an idea, and someone else actually making the dinosaur. 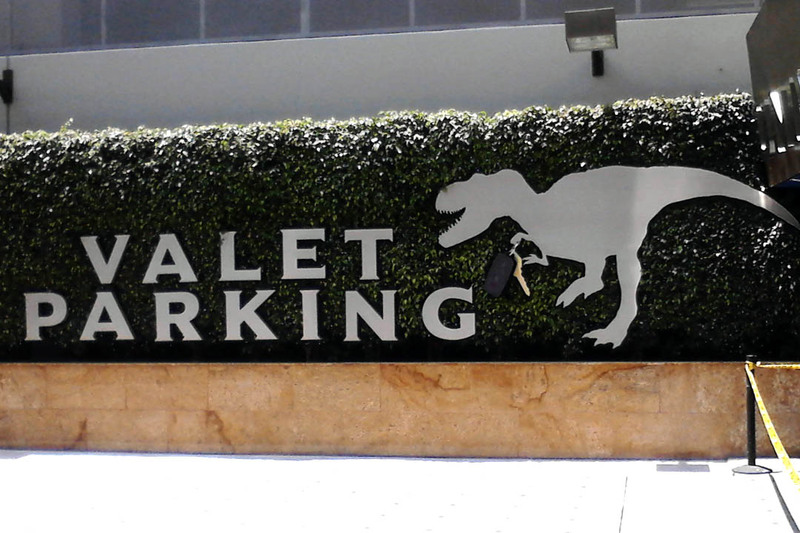 The detail on the dinosaur’s feet, his (all scary dinosaurs are male) teeth, the key fob shape, the vector file used to cut the outline—that was all me. It’s kind of a strange job, but I like it. What’s really nice is that it’s the only thing in the whole world that I am capable of doing amidst a sea of distractions, plus I can do it remotely. I can listen to music and work in the park, or work from my parents’ house and babysit my dad while the TV is on, and still have a very productive day. That said, I usually have to have some kind of auditory stimulus or be thinking about the van conversion in order to keep my brain alert while I work. All this is a very roundabout way of saying that I’ve been working for the past couple days, but also doing a whole lot of thinking about the conversion. I’m zeroing in on solar components, and figuring out a layout. I’m brainstorming ways to organize the cavernous storage area above the cab, planning where all my belongings will be stored, and visualizing all the little things that will make living in a van easier. At some point I’m going to have to figure out how to build this stuff, but I’m not worried, I have a few tricks up my sleeve. They’re called “the internet”. Once I start actually building things I think this blog is going to start getting pretty hilarious with the mishaps that are bound to occur. Here’s hoping that we make it through in one piece.